I got out and explored the Woodard Bay NRCA today and finally got to hike down to the pier area. I’ve been a few times to the Upper Overlook Trail (which closes March-August) but never to the opposite side of Woodard Bay because they were previously doing repairs there. 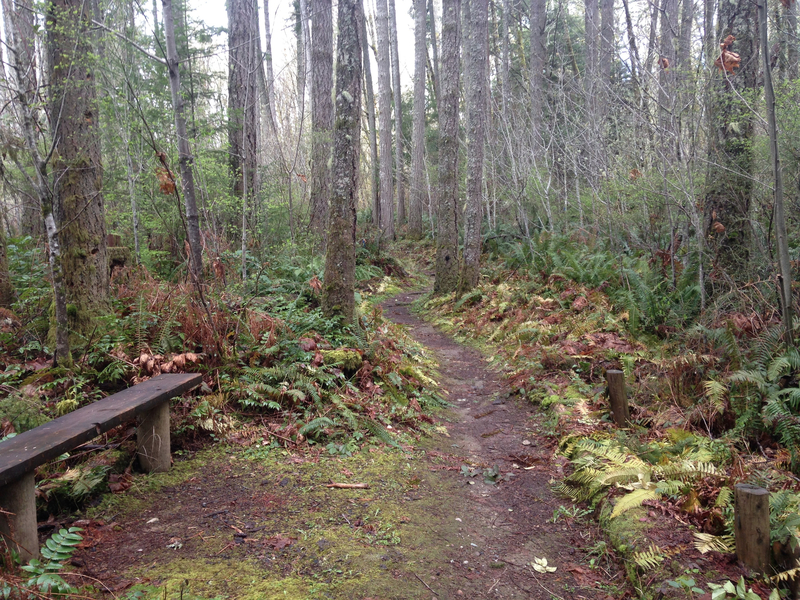 The hike is only about two miles out and back but the Loop Trail goes through some pretty forested areas. The Loop Trail and the dirt road that parallel it both end at the Chapman Bay Pier, where timber companies use to unload logs for transport up the Puget Sound until about the 1980s. Up until February of this year, the state was removing sections of the old pier and sprucing up the place. It looks beautiful and is great for picnicking and for family hikes. I added some photos of it to my post. If you do go, definitely take the Loop Trail, ideally on the way out there. The road, which is closed to all both authorized NRCA employees, is handicapped accessible. Also, you’ll need a Washington State Discover Pass to park at the trailhead. I know I’m behind a few trail review posts but hopefully this will tide you over until next week. I started this blog as part of a class assignment and decided to keep it going because it was fun and let me share some of my hikes. That said, blogging on a regular basis is a lot of work! Hats off to those writers who keep it going without fail. Anyways, my semester ends this week so next I can catch up with posts about Mima Mounds, Hugo Peak, and the beautiful Flapjack Lakes hike I did a few weekends ago. Until then, Happy Hiking! Wow! They did make some significant changes out at the picnic area, didn’t they? Going to have to go check it out–thanks for the reminder that it’s open. I seem to recall that they were going to start requiring a Discover Pass to park at the trailhead? True? Yes, you need a Discover Pass now. I completely forgot about that part. I thought it was funny that you need a Discover Pass there but not to park at the Overlook Trailhead across the Bay (at least it was that way the last time I was over there). Oh well, c’est la vie. Definitely check it out though – it looks like they’ve done a lot of upgrading. Also, there are some great educational signs set up at the picnic area.